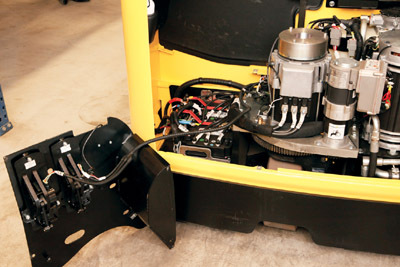 South West Forklifts provide routine forklift truck servicing packages to suite each of our customers needs. We understand that no two operations are the same. We’ll call you to arrange Service appointments at your convenience. Our onsite Engineer will book in prior to starting any work. You’ll have a full service and inspection report with copies to meet health and safety requirements. We’ll follow up with a quotation for further work, if there’s any needed. Increase productivity by reducing down time. Create owner and operator peace of mind. At South West Forklifts we know how downtown effects your business. So we guarantee a response time of between 2 and 4 hours response to safety specific or immobilised breakdowns. Fully trained and experience engineers. Fully equipped and stocked vans. Supplying parts for any make or model of truck. South West Forklifts can provide parts for all makes and models of forklifts and we have the buying power to be the most cost effective choice in the South West. We can supply genuine or aftermarket parts upon request. So why not let South West take the stress out of buying parts? 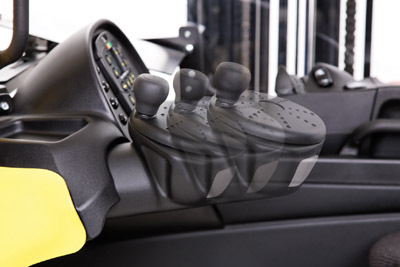 If you require hydraulic or non-hydraulic attachments call South West Forklifts, we have teamed up with some of the UK’s leading attachment suppliers to bring you the widest range of forklift attachments in the South West. Click here for more details.